2 Bed Updated Condo nestled away in Highly Desired Parkside Condos conveniently located off Dorsett/HWY 270. Beautiful common ground trees & rolling hills surround this ground level unit right across the st. from Subdivision Pool! Open Floor Plan w New Laminate Flooring in the foyer, kitchen, living rm & hall. Fresh Paint throughout. Living rm has Woodburning FP, access to the Covered Balcony w Scenic Views & Storage Closet & space for a breakfast area, Completely Updated Kitchen has a Breakfast Bar, Abundance of Refinished Cabinets & Countertops, New Smooth Top Stove, Frig, Dishwasher & Microwave. Master has Double Closet & Access to The Covered Balcony. Bath features Tile Floor & Shower Surround, Dble Vanity, Private Laundry! New Light Fixtures, Custom Built-In Closet in Foyer,Windows Replaced 2010. Assigned Covered Parking & Assigned Space. Low Monthly Fees! Amenities: Pool, Clubhouse, Dog Walking Area & loads of Common Area. 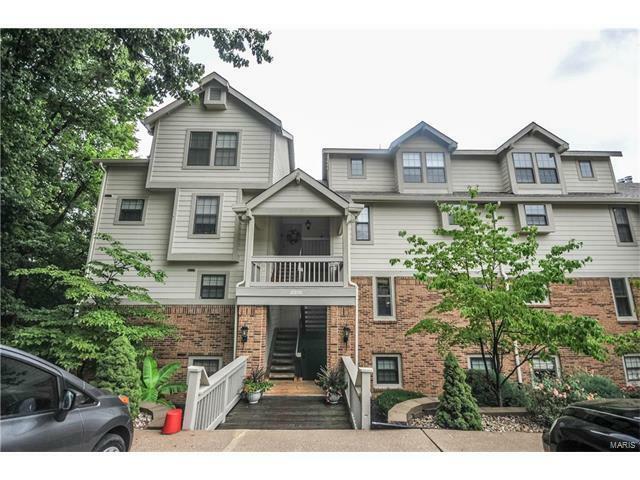 Creve Coeur Lake/Park is within walking distance. FHA! Dorsett Rd. to Rule. Left on kings Canyon. Right on Yellowstone Park Ct. Home on the right almost to the end.